Gotham 1x11 Promo - returning in January. Sleepy Hollow 2x11 "The Akeda" - Unforeseen sacrifices must be made and loyalties are put to the ultimate test in the fight against evil in the all-new 'The Akeda' episode of SLEEPY HOLLOW airing Monday, December 1st on FOX. Every duo has their differences. Don't miss the epic 2-night The Flash and Arrow crossover event starting Tuesday at 8/7c! This hunt is going to need the big guns. Supernatural is all new Tuesday at 9/8c! The "Dancing With the Stars" finalist gets emotional when the winner is finally announced. Pitbull Performs "Celebrate" & "Time of Our Lives"
State of Affairs is an American espionage thriller series which premiered on NBC on November 17, 2014, during the 2014–15 American television season. The series stars Katherine Heigl as CIA analyst Charleston Tucker, who is tasked with assembling and presenting the President's Daily Briefing on the most vital security issues facing the country, and Alfre Woodard as first black female President Constance Payton, who, in a different world, would have been Tucker's mother-in-law. Katherine Heigl as Charleston "Charlie" Whitney Tucker, top CIA analyst, responsible for the President's Daily Briefing. Alfre Woodard as President Constance Payton, President of the United States. Adam Kaufman as Lucas Newsome, CIA director briefer. Sheila Vand as Maureen James, CIA Secretary of Defense briefer and Charlie's best friend. Cliff Chamberlain as Kurt Tannen, CIA State Department briefer. Tommy Savas as Dashiell Greer, CIA briefer to various agencies within United States Intelligence Community. David Harbour as David Patrick, Chief of Staff. 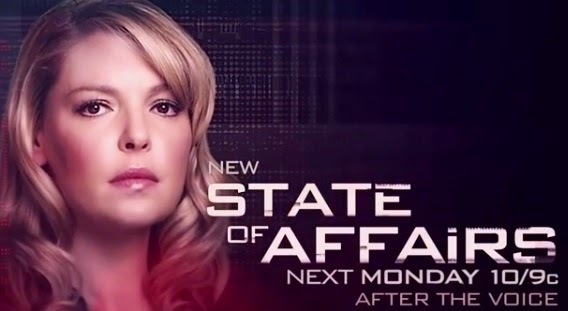 State of Affairs 1x02 "Secrets & Lies" - Charleston (Katherine Heigl) and the team are in a race against the Russians over a stranded Russian submarine holding six months of stolen U.S. secrets -- their one advantage is that they have a CIA asset on board. At the same time, the texter persists, sending Charlie a damning picture, while Nick (guest star Chris L. McKenna) forces her to question if Fatah was ever really her asset. Meanwhile, President Payton (Alfre Woodard) appoints a new CIA director, the formidable Ray Navarro (guest star Nestor Carbonell). 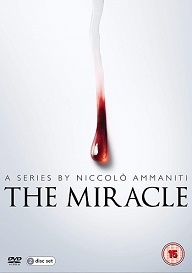 Adam Kaufman, Sheila Vand, Cliff Chamberlain, Tommy Savas and David Harbour also star. Guest starring Courtney B. Vance, James Remar and Alon Moni Aboutboul. Sleepy Hollow 2x10 "Magnum Opus" (Fall Finale) - Abbie and Ichabod are on a quest to find a weapon of ultimate power to kill Moloch – the Sword of Methuselah – before the Headless Horseman can stop them. Gotham 1x10 "LoveCraft" (Fall Finale) - Following a misstep, Gordon is reassigned to duty at Arkham Asylum. Meanwhile, Selina (Camren Bicondova) leads a new friend on a perilous journey through Gotham to evade the assassins after her. Nickelback Performs "What Are You Waiting For?" 2013 was an epochal year for Doctor Who and the two specials reflected the series monumental impact as a British cultural icon. 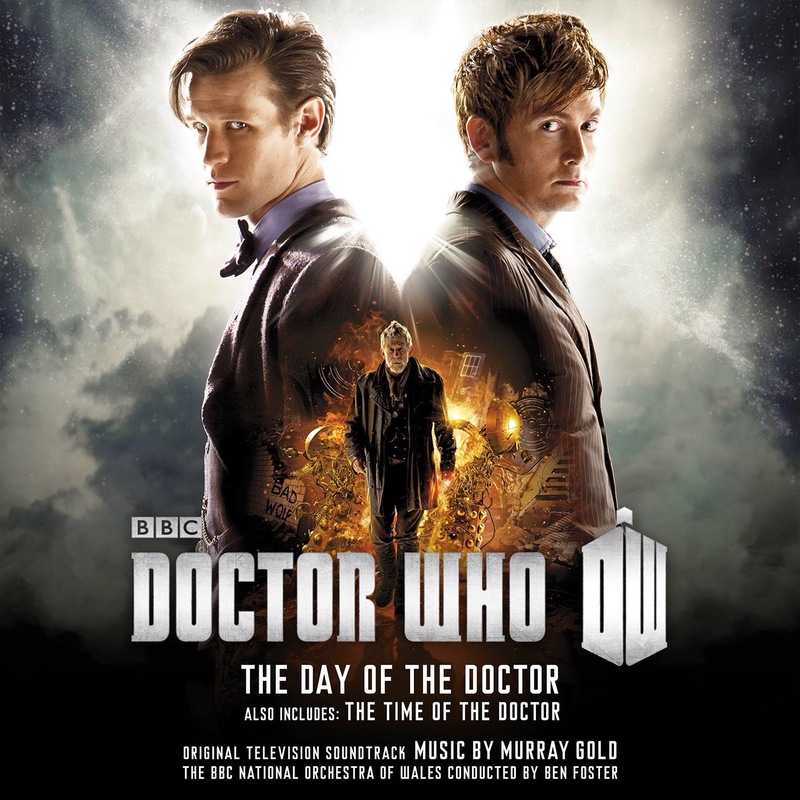 The Day Of The Doctor celebrated the 50th anniversary of the series with a story that weaved in many references to its distinguished past and was transmitted to 94 countries, the largest ever simulcast for a TV drama. The Time Of The Doctor in the now traditional Christmas Day slot showcased the departure of Matt Smith and Peter Capaldis debut as the twelfth Doctor. Arrow 3x07 "Draw Back Your Bow" - Oliver (Stephen Amell) must stop an Arrow-obsessed serial killer, Carrie Cutter (guest star Amy Gumenick), who is convinced that The Arrow is her one true love and will stop at nothing to get his attention. Unfortunately, her way of getting his attention is to kill people. Meanwhile, Ray (Brandon Routh) asks Felicity (Emily Bett Rickards) to be his date for a work dinner with important clients. Thea (Willa Holland) auditions new DJs for Verdant and meets Chase (Austin Butler), a brash DJ with whom she immediately clashes. Rob Hardy directed the episode written by Wendy Mericle & Beth Schwartz (#307). Original airdate 11/19/2014. Marvel's Agents of SHIELD 2x08 "The Things We Bury" - Coulson and team find themselves in an epic face-off against Hydra to uncover an ancient secret, while Ward kidnaps his brother, Senator Christian Ward, for a violent trip down memory lane, on Marvel's Agents of S.H.I.E.L.D., Tuesday, November 18th on ABC. Supernatural 10x06 "Ask Jeeves" - Dean (Jensen Ackles) is surprised when he checks Bobby’s cell phone and hears a message that says Bobby or his next of kin have been named as a beneficiary in an heiress’ will. Hoping that means extra money, Dean talks Sam (Jared Padalecki) into hitting the road to claim their fortune. However, what they encounter at the house is far from a treasure chest. John MacCarthy directed this episode written by Eric Charmelo & Nicole Snyder (1006). Original airdate 11/18/2014. The Flash 1x06 "The Flash Is Born" - The Flash (Grant Gustin) faces a new meta-human named Tony (guest star Greg Finley, “Star-Crossed,” “Secret Life of the American Teenager”), who can turn himself into girded steel at will. While Dr. Wells (Tom Cavanagh) and Caitlin (Danielle Panabaker) are concerned about Barry’s safety, Cisco (Carlos Valdes) comes up with a plan to take Tony down. Meanwhile, Iris’s (Candice Patton) blog on The Flash gets her into trouble, and Eddie (Rick Cosnett) witnesses Tony’s abilities firsthand and begins to ask questions that Joe (Jesse L. Martin) doesn’t want answered. Joe asks Dr. Wells to help him solve Nora Allen’s murder. Millicent Shelton directed the episode written by Jaime Paglia & Chris Rafferty (#106). Original airdate 11/18/2014. Sleepy Hollow 2x09 "Mama" - A series of mysterious deaths at Tarrytown Psych leads Abbie and Ichabod to discover that an especially surprising spirit is involved in the all-new 'Mama' episode of SLEEPY HOLLOW airing Monday, November 17th on FOX. Gotham 1x09 "Harvey Dent" - Trying to close the Wayne murder case, a young Harvey Dent (guest star Nicholas D’ Agosto) and Gordon team up, much to Mayor James’ (guest star Richard Kind) chagrin. Meanwhile, Penguin makes contact with Mooney’s (Jada Pinkett Smith) secret weapon, Liza (guest star Mackenzie Leigh). Tears for Fears Performs "Everybody Wants to Rule the World"
Revenge 4x08 "Contact" - Victoria's future hangs in the balance as the FBI closes in and a mysterious new enemy strikes, on Revenge, Sunday, November 16th on ABC. Once Upon a Time 4x08 "Smash the Mirror" - In Arendelle, when the Snow Queen tries to pit Elsa and Anna against each other and it proves more difficult than she anticipates, she takes drastic measures. Meanwhile, in Storybrooke Emma’s powers are out of control and her fear of hurting loved ones pushes her away from everyone she cares about. In her confusion, Emma turns to Gold for help getting her powers under control. Gold tells her about a way to get rid of her powers altogether and Hook tries to put a stop to it. Meanwhile, Regina struggles with her plan to find the author of the storybook until her quest takes an unexpected turn. Robin Hood recruits Will Scarlet to assist him on a mission and Mary Margaret and David search for Emma in this special, two-hour “Once Upon a Time” airing Sunday, November 16th on ABC. Spandau Ballet Performs "This is the Love" & "True"
Tom Parfitt, a frail old Yorkshireman, witnesses a violent death on the day he moves to a care home. What happened in his past that he cannot leave behind? The final episodes of The Newsroom premiere Sunday, November 9th, only on HBO. What does justice really mean? #Arrow is all new Wednesdays at 8/7c! http://www.bbc.co.uk/doctorwho Something sinister is afoot… does the Doctor need a helping hand from Santa? Sleepy Hollow 2x08 "Heartless" - Crane and Abbie set out to take down a succubus whom Henry has sent out to drain the life forces out of its victims in the all-new 'Heartless' episode of SLEEPY HOLLOW airing Monday, November 10th on FOX. Arrow 3x06 "Guilty" - After a body is found strung up in the Wildcat gym, Ted Grant (J.R. Ramirez) becomes the main suspect. Oliver (Stephen Amell) and Laurel (Katie Cassidy) argue over Ted’s innocence. 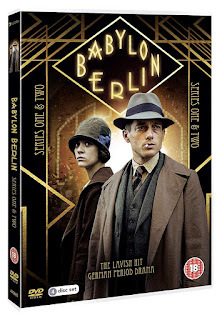 Meanwhile, in flashbacks, when Maseo (Karl Yune) needs Oliver to remember where an informant for China White stashed key information, he asks Tatsu (guest star Rila Fukushima) to help jog Oliver’s memory. Roy (Colton Haynes) shares a secret with Felicity (Emily Bett Rickards). Peter Leto directed the episode written by Erik Oleson & Keto Shimizu (#306). 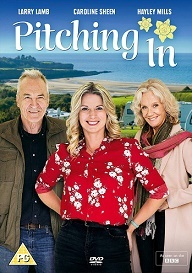 Original airdate 11/12/2014. Betrayal hurts most when you least expect it. Don't miss an all new Reign Thursday at 9/8c. What's scarier than a jealous vampire? Standing up to one. Watch an all new TVD Thursday at 8/7c! Cobra Starship Performs “You Make Me Feel…” & "Never Been in Love"
http://www.bbc.co.uk/doctorwho There’s a revelation in this preview clip from the series’ final episode: Death in Heaven.